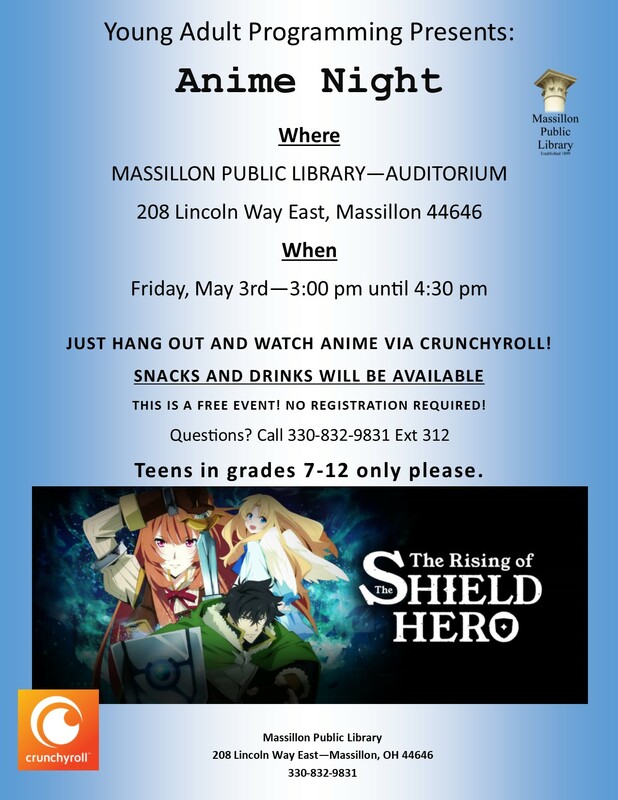 Teens in grades 7-12 are invited to watch Anime and enjoy snacks! For more information, contact the library at 330-832-9831, ext. 321.